This 50s Jemima Wool Hat in Blush is an elegant hat, called 'pill box', which became very popular by Jackie Kennedy, and still is. 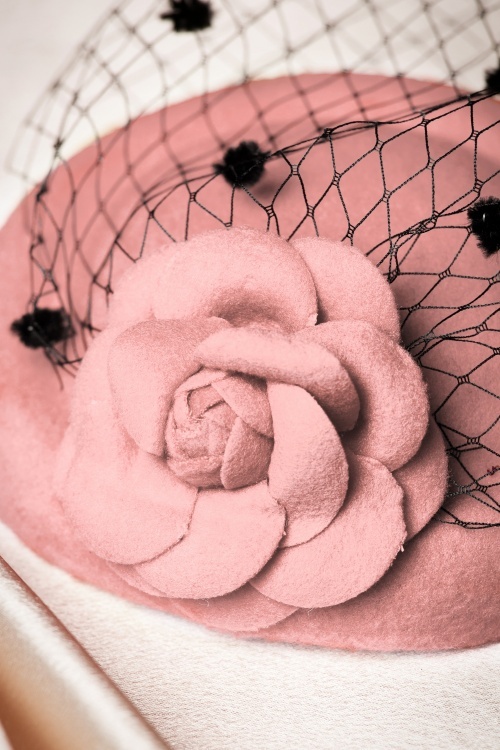 ''Any woman would be thrilled to receive a beautiful hat'' and we're going to make that happen! 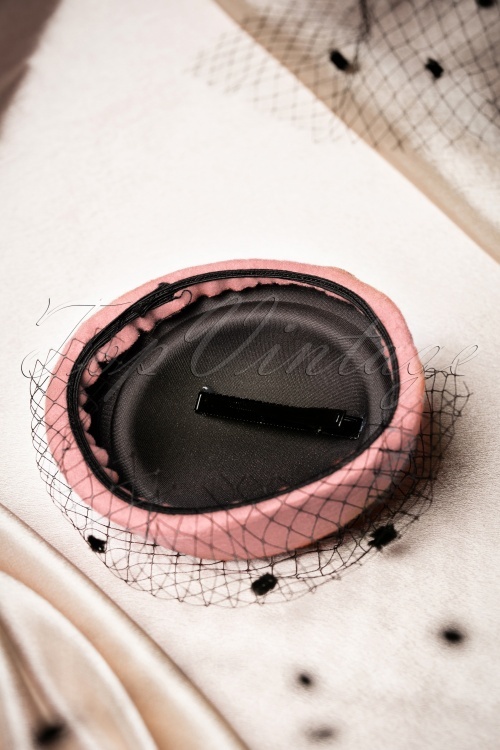 ;-) This stunning elegant hat features a beautiful flower on the side and a mysterious black veil, decorated with little black dots. 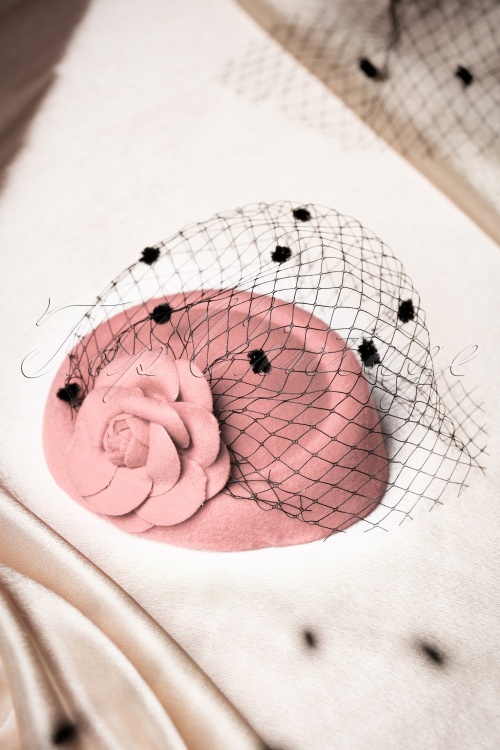 Made from a powder pink wool mix and finished off with a black hair clip that will keep the hat from sliding off. This beauty adds a touch of glamour to all your retro outfits!